In medium nonmetal bowl, beat oil and peanut butter with wire whisk until well blended. Add all remaining Dressing ingredients; blend well. 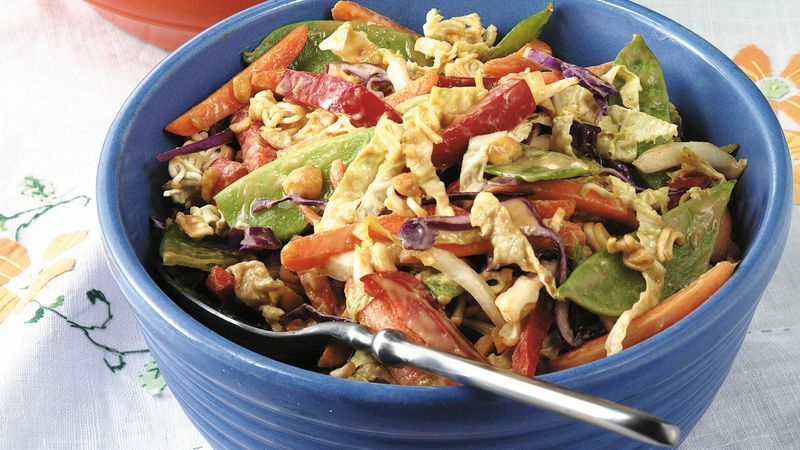 In large bowl, toss all Salad ingredients except soup mix and peanuts. Discard seasoning packet from soup mix or reserve for another use. Crumble noodles; add to cabbage mixture. Add dressing and peanuts; toss to coat.